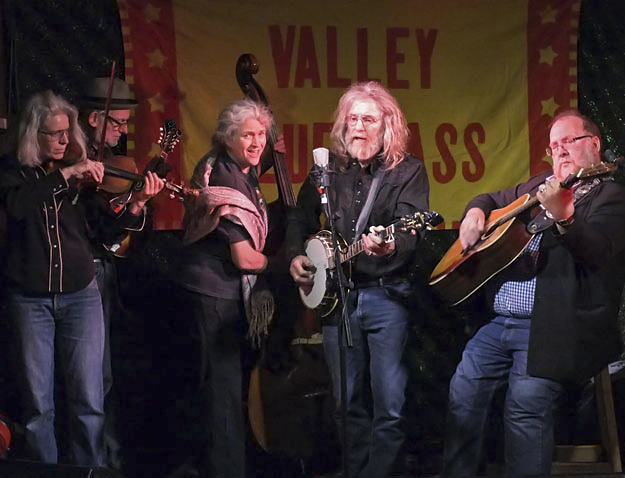 Valley Bluegrass is a true bluegrass band lead by fiddle, banjo, guitar, Dobro and mandolin with sweet singing and old time harmonies. Bluegrass is high energy toe tapping music that gets people smiling and dancing. It is a mixture of old time country with bits of blues and early rock n roll. There is no band playing this style of music South of Christchurch. If required Valley Bluegrass work with a dance caller to provide music for barn dances and parties. The band can play without amplification anywhere there is room for five, so ideal for house parties. They also have their own amplification system for noisier rooms. This makes them ideal guests for festivals and public events.